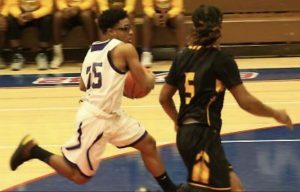 Hammond High’s Reggie Abram led his team to a pair of wins at the Big Dipper Tournament at Rich South High School in Illinois. In a victory over Rich East, Abram scored a team high 21, while hitting nine field goals. Abram followed up that performance with another 21 point outing in a win over Rich Central! Ryin Ott took over the Mishawaka Marian Holiday Tournament! In the game against SB Adams, Ott put up 22 points, hitting a pair of three-pointers along the way, to go along with 15 boards. 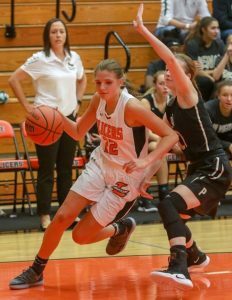 Her performance against McCutcheon was even better, scoring a game high 28 points, including four three-pointers, and nine rebounds! Munster took first place at the Highland Invitational, thanks in part to the versatile effort of Holden Raffin. In individual events, Raffin finished first in both the 100 backstroke and the 200 IM. He was then a part of Munster’s winning relay teams in the 400 Freestyle Relay and the 200 Medley Relay! Merrillville’s Andrea Tapia helped lead her team to a win over Wheeler with great efforts in both individual and relay reaces. Tapia won the 200 Freestyle and 100 Breaststroke while also being a part of the winning 200 Medley Relay team! Watch Tapia practicing in the pool in the attached video! The outstanding Bulldog freshman dominated his first Al Smith Invitational, winning the 126lb. title at the annual tournament in Mishawaka. On his way to the title, Mendez picked up three victories by pin and one tech fall win! Here’s video of Mendez wrestling at the Al Smith!